Even for Japan, the Nemuro area has a peculiar natural environment. Why don’t you experience it using one of Nemuro’s walking paths? There are six footpaths maintained by farmers and fishermen in Nemuro city. In each course, you can enjoy various environments with natural resources in eastern Hokkaido and industrial scenery alongside. You can find the transition of colors of seasonal flowers and woods, too. You might see sea fog in summer and a wild view with snow and a cold north wind in winter. It is required that you purchase the route map, which is used as a pass, to enjoy the Nemuro footpaths. Please refer to “Rules and How to Enjoy Footpaths” below. “Footpath” is the vocabulary meaning “the path that has been in the forest, rural area, or old town in that region since a long time ago, and you can walk on it and enjoy the untouched scenery” (Reference: http://www.japan-footpath.jp/aboutfootpath.html ). *Estimated time to finish is publicly announced time to complete walking on each path. 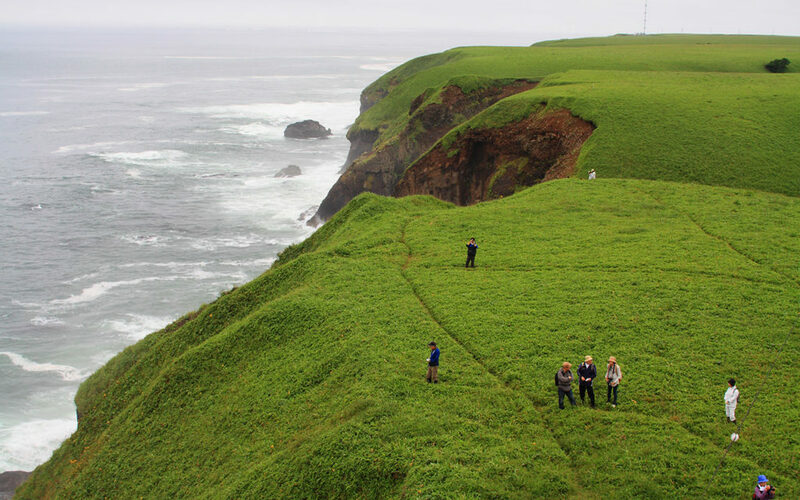 Students from Senshu University maintained this new course, formerly known as Shibetsu Line, as one of their seminar activities. It is a gently-sloping course that goes through railroad windbreak forests and marshes, and the latter half of the path goes through the old iron bridge over Furen River. This is a path with less difference in elevation. You can walk in grasslands and see cows in pastures in summer, and you will find an all white view with snow in winter. Would you like to make your own footprints in this beautiful scenery with nothing blocking your view? It is also possible to walk on the old railroads (parts of them are now discontinued) and feel the history of Nemuro in its pioneering era. You can feel the raw scenery of the seaside in eastern Hokkaido. You will find the spacious view after you go through brilliant forests with water oaks and other woods, but don’t hurry and go too fast, take your time and enjoy the scenery. You will be standing just in front of Pacific Ocean after the forests, and there are various flowers you can find only in Nemuro. There are locked gates on the path, so please refer to “Rules and How to Enjoy Footpaths” below. This path goes through the existing agricultural roads. The path is paved and easy to walk. There are specific spots where you can see Japanese cranes in some seasons and Shiretoko peninsula or the Kunashiri islands. Once you leave “Ochiishi”, the port town with numerous fishing boats, you will see the seaside where people live, and the amazing view with continuous cliffs. You can feel the peculiar environment made by cold sea fog, and the history of this area on this path. It is the path above the continuous cliffs of Ochiishi. Grass fields with plenty of flowers at your feet. If you are lucky, you may meet the horses which used to support the fisheries in this area, while going through the shores where fishermen live. 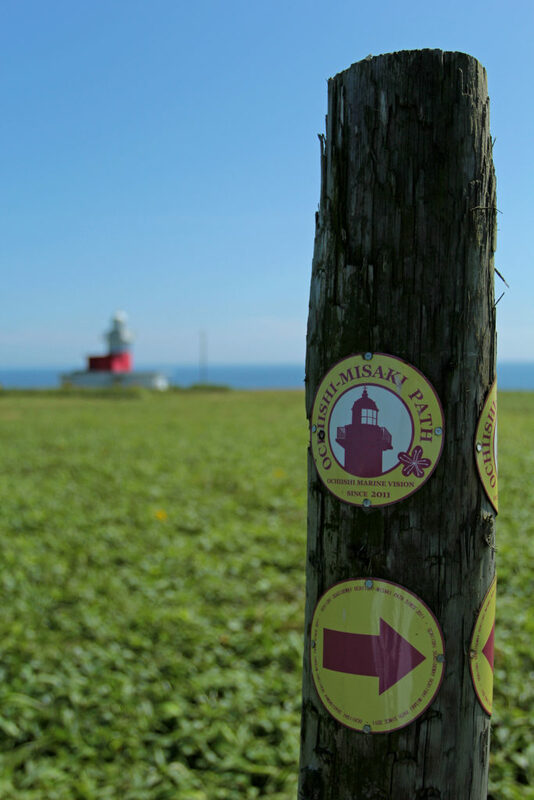 It is required for each visitor to purchase a route map to walk the Nemuro Footpaths. This is the pass to walk the paths, so please always keep it with you when you go for a walk. You can use the map as many times as you want (no limits) once you purchase it. ・ There are route maps in English/Chinese 【Attoko Path】【Bettoga Path】【Hattaushi Path】. 200 yen for each map (tax included). English / Chinese　300 yen for each (tax included). ※【Akesato Path】is under preparation. There is the simplified version. 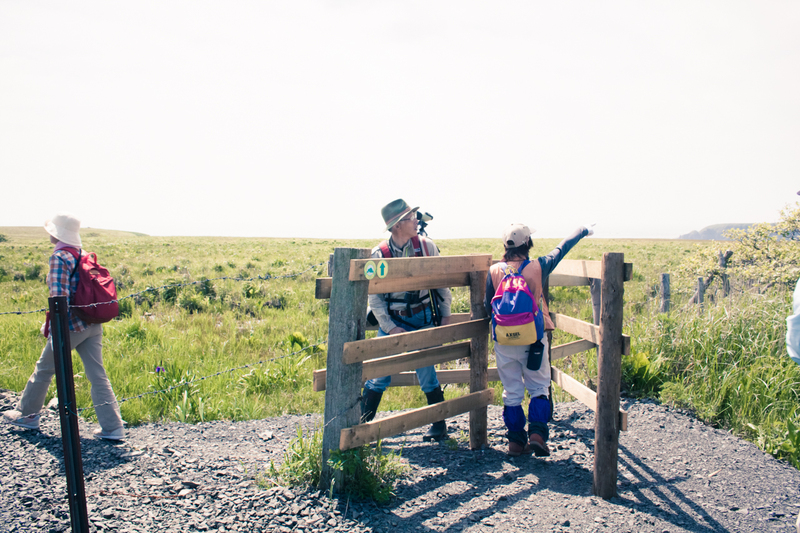 There is a locked gate on 【Bettoga Path】on the way. Please borrow the key at the following facilities and return it after the walk. You can rent snow shoes in “Akesato Ito Farm” in winter seasons. 【Akesato Path】【Attoko Path】【Bettoga Path】【Hattaushi Path】.